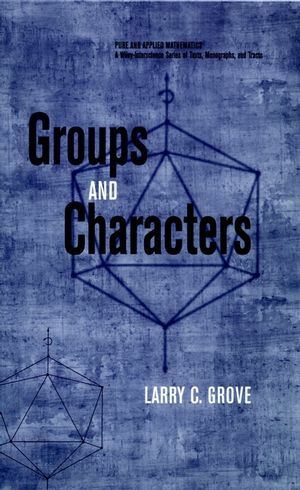 One of the few treatments available combining both group theory and character theory, Groups and Characters is an effective general textbook on these two fundamentally connected subjects. Presuming only a basic knowledge of abstract algebra as in a first-year graduate course, the text opens with a review of background material and then guides readers carefully through several of the most important aspects of groups and characters, concentrating mainly on finite groups. LARRY C. GROVE is Professor of Mathematics at the University of Arizona He is the author of Algebra and coauthor of Finite Reflection Groups.